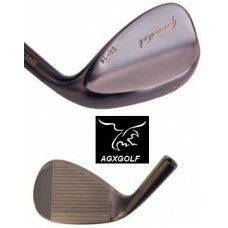 The Manufacturer's Suggested Retail Price for this club is $49.95. Your price is MUCH BETTER!! YOUR CHOICE OR GET THEM BOTH AND WE'LL DISCOUNT THE PAIR ….............BUILT IN THE U.S.A. Sand Wedges are the club of choice for most green side bunker (sand traps) and for down hill chips on to the green. Sand Wedges are also the prefered club for shorter approach shots where a “drop & stop” landing is desired. Lob Wedges are the club of choice for many of the difficult shots around the greens. They are ideal for hitting from behind the bunker, over bushes, shrubs and trees, and on shots up to high greens. Lob Wedges are also the smart club to pull for difficult bunker shots. Especially when the ball is close to the lip or on the downslope at the back of the bunker. You are also going to find that once you "dial in" from forty yards and in, you are going to "stiff" a lot of pins. These clubs are made for getting the ball on the PIN!! BOY'S "TWEEN": For HEIGHTS of 4' 7" to 5' 3"
BOY'S: "TEEN": For HEIGHTS of 5' 3" to 5' 7"
JUNIORS'S: For HEIGHTS of 4' 0" to 4' 8"
AGXGOLF is headquartered in Michigan; we build these wedges in our Highland, Michigan facility! We know you will enjoy playing these fine golf clubs as much as we enjoy crafting them! ...And we GUARANTEE that you will be SATISFIED! !